Term of delivery varies from 3 to 14 days. Delivery delay may be due to the formalities at the customs of the country where the product is sent. All parcels sent by EMS mail are insured. You may track the parcel using a special number (tracking No.) issued at the time of shipment of goods. 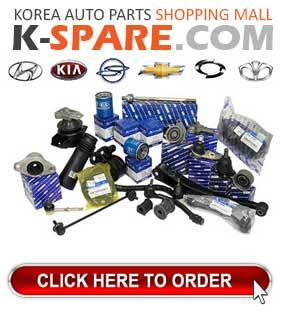 You can get parcel number in your K-Tuning account after its departure. 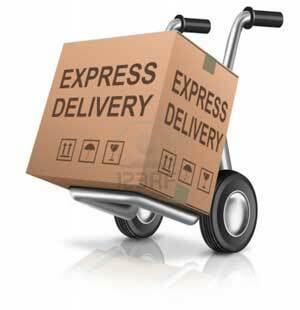 Shipping is made by courier mail on a "door to door" basis to any address. Please track delivery status on the EMS website of your country. WARNING! Weight of one parcel may not exceed 30 kg. If the total weight of the goods you have ordered is more than 30 kg, the parcel will be divided into two roughly equal parts by weight. For example, if the total weight of the goods ordered is 32 kg, you will be sent two parcels weighing 16 kg each. At the request of the buyer express shipping services with DHL are also an option. Terms of delivery - 2-7 days depending on the day of sending the parcel and the customs administration of the recipient country. Bulky goods may be shipped via cargo carriers by air, boat or rail. Please contact us on more details on the timing and delivery costs. WARNING! When placing your order the package weight is calculated approximately. After the final assembly and packaging of the order it is weighed and exact weight and shipping cost are determined, If the weight of your order is less than was previously estimated and paid by you, the balance amount can be spent in your next purchase in our shop. In case when the shipping cost is more than estimated before, the debt must be covered by you before sending the parcel. WARNING! The above services are third-party services and our company (ie. Korea Motorz Line Co.,Ltd) shall not be responsible for the faithful execution of their work, delivering goods in timely manner, without damage of stuff. However, we are always happy to assist you in resolving any problems. If you have any questions related to delivery of the goods, you can contact us using the form in the "Contact Us" or call by phone. We are always happy to help.